1 – 7 August 2020 – BOOK NOW! Add on: 7 August 2020 – BOOK NOW! 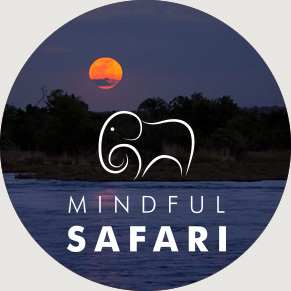 Email safari@davidmichie.com for 2019 Mindful Safari reservations. … and much more to be revealed! I saw some of the most beautiful and extraordinary sights of my life on Mindful Safari. It is a unique experience I will always carry in my heart. 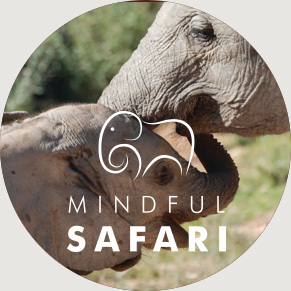 Join best-selling author and mindfulness coach David Michie on an exclusive Mindful Safari! Combine game drives and magical encounters with lion, elephant, giraffe, and other iconic wildlife, with an inner journey to explore the nature of your own mind. 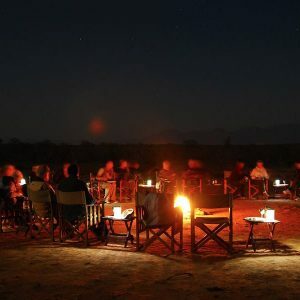 Come with us on a visit to the wild places of Africa, while also taking time to abide in the tranquil clarity of your own primordial consciousness. 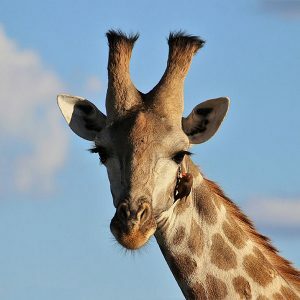 These unique six day journeys combines a warm introduction to the amazing wildlife and unforgettable vistas of southern Africa, with the gently humorous but transformational approach to mindfulness for which David is well known. Quite simply, the trip of a lifetime! Combining mindfulness practice with game drives produced a wonderful sense of connection, which continues with me to this day, especially when I am in Nature. 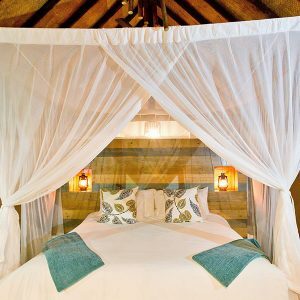 For six days enjoy the ultimate ‘glamping’ experience, staying in one of the beautifully-appointed thatch and canvass ‘Wilderness Tents’ at Masuwe Lodge, near Victoria Falls. Each day combines guided meditation sessions with game viewing drives or other nature encounters, such as visiting the spectacular Victoria Falls, one of the seven natural wonders of the world. We also engage with the local community, offering the opportunity to spend time with children at the underfunded local school, to whom the gift of something as simple as a new pen and exercise book makes a deeply appreciated difference. Each day you will enjoy your own personal time, during which you can relax in your own private Wilderness Tent, which has its attached stone bathroom (shower, vanity and toilet) and front deck, with comfortable seating and views over the bush, where wildlife roam. Each tent has its own Wi Fi, ceiling fan, tea and coffee-making facilities, beautiful cotton bed linen, and is canopied with mosquito netting. 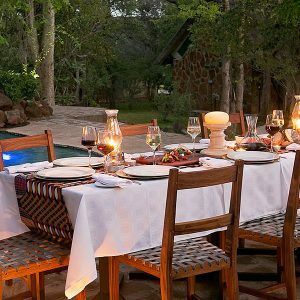 Our game drives are through the nearby Stanley & Livingstone Private Game Reserve, which has all of Africa’s ‘Big Five’ – lion, leopard, elephant, rhino and buffalo, and no shortage of ‘branch managers’ (baboons!) We will also pay a visit to the nearby Chamabonda National Park, where, if we are lucky, we may encounter one of the very large herds of elephant or buffalo that call the park their home. Being in the presence of these wild animals, as they go about their daily lives, counts among the many highlights of our visits – encounters for which there are simply no words. 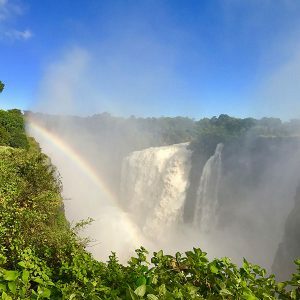 Our visit to Victoria Falls is also extraordinary. David Livingstone, the Scottish explorer famously declared that ‘scenes so lovely must have been gazed upon by Angels in Their Flight.’ Our visit to the falls and rainforest are made even more special in the company of our highly informative guide. 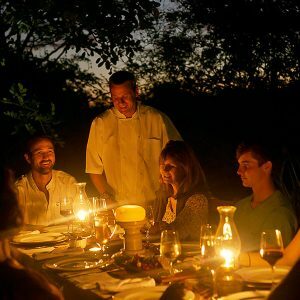 And we enjoy other aspect of the mighty Zambezi, including a gentle yoga and meditation session on the riverbanks, and evening cruise during which take part in a tranquil experience like none other – the red, African sun sinking behind the river. An amazing adventure! There are no words to describe what it’s like being so close lion, elephant and others. And the experience is heightened through mindfulness practice. Highly recommended!. Our meditation sessions are held outside as much as possible – outdoors at camp, on an open deck, by the river and in the bush. They offer fresh perspectives and insights for newcomers and seasoned meditators alike. David has tailored a program specially to our natural environment. Guided morning meditations help us recognise the intimacy of our connection with nature, and how we share, with the extraordinary animals around us, a collective dependence on the earth. We spend some time exploring the vulnerability of the being we are living among, contrasting this with an appreciative understanding of our own lives of relative privilege. From this, a sense of compassion quite naturally awakens. Along with the question: how can we use our own particular abilities for the greatest benefit of all? David introduces a variety of different meditation methods. Among them is sure to be one that resonates with you! He is part of the group at meals and on game drives and is available for one to one sessions, if you wish. 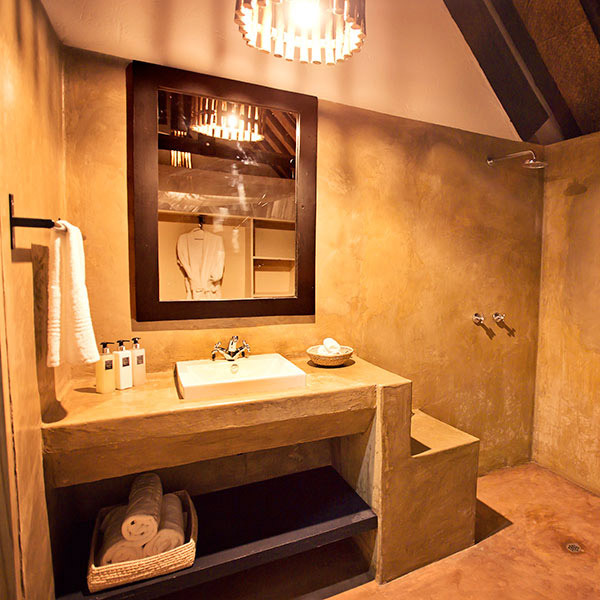 Once you’re in Southern Africa, how about taking in one of the other wonderful highlights listed opposite? 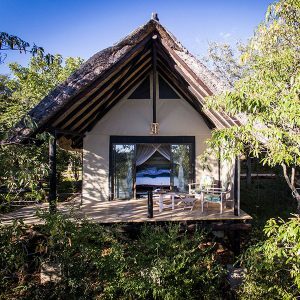 Visit this birder’s paradise in the pristine Eastern Highlands of Zimbabwe, taking in the epiphytic orchids and perhaps going for a sky walk through the forest canopy while you’re there. BOOK NOW to secure your place for 2020!